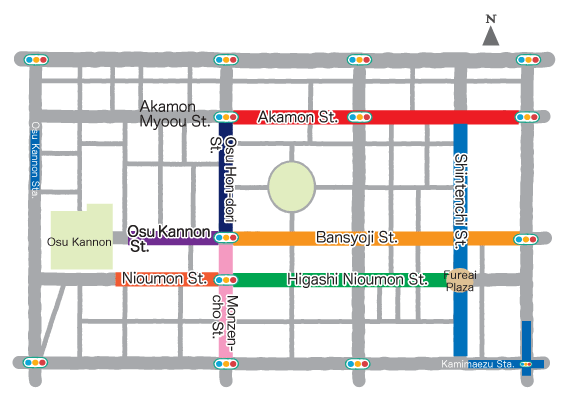 The numbered street signs posted on traffic barricades and at high points in the arcade are color-coded for each street, and provide an easy way to determine your current location in Osu. 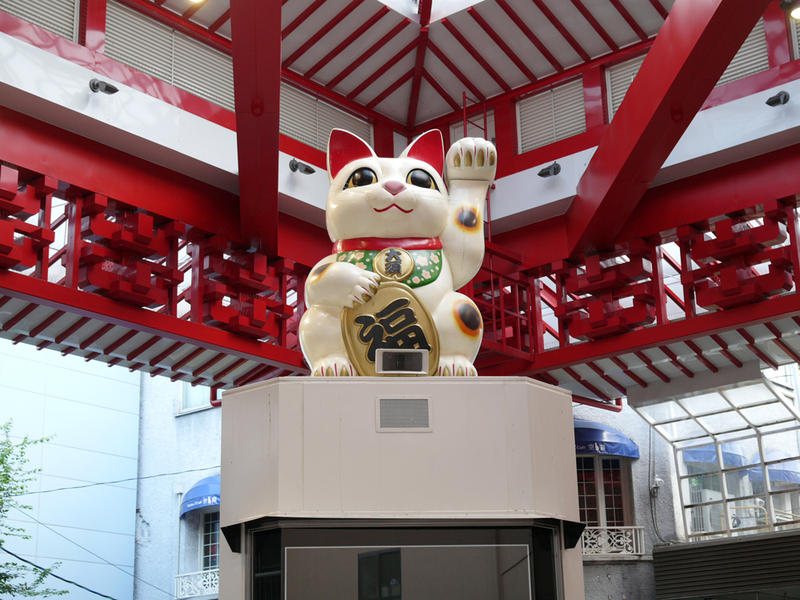 And middle of the Fureai Plaza is Osu’s symbolic giant maneki-neko (beckoning cat). 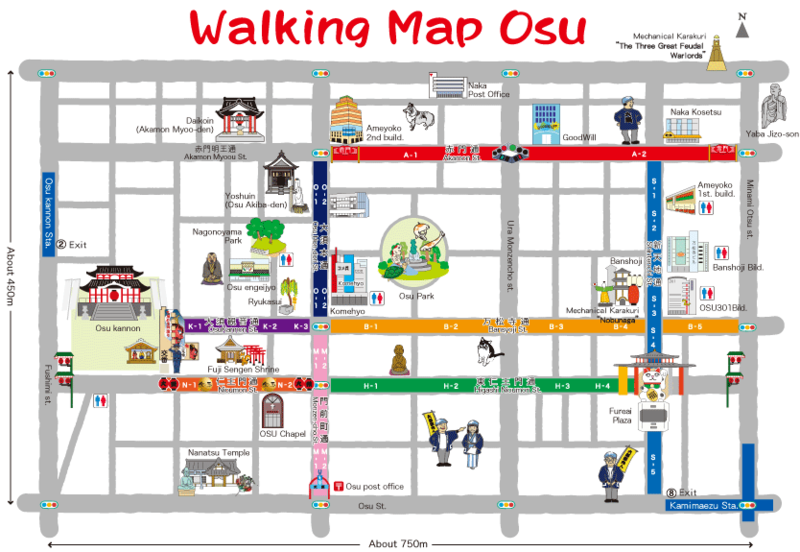 This landmark serves as a popular meeting point, rest area, and photo spot for sightseers. This is one of the kofun (burial mounds) in what is known as the Osu tumulus cluster, and was built in the sixth century AD. 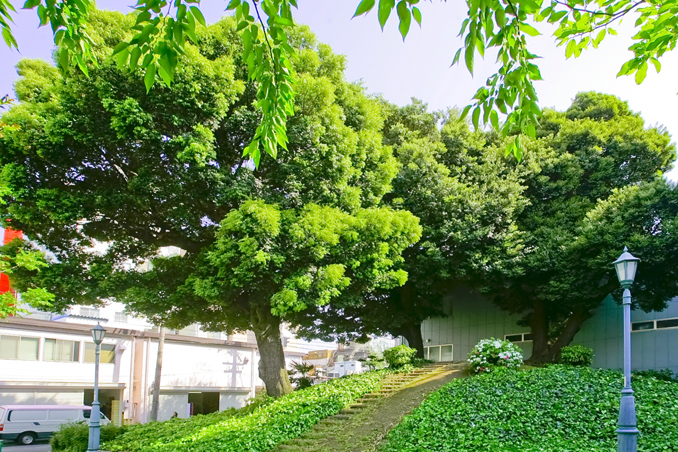 It was originally a keyhole-shaped mound. 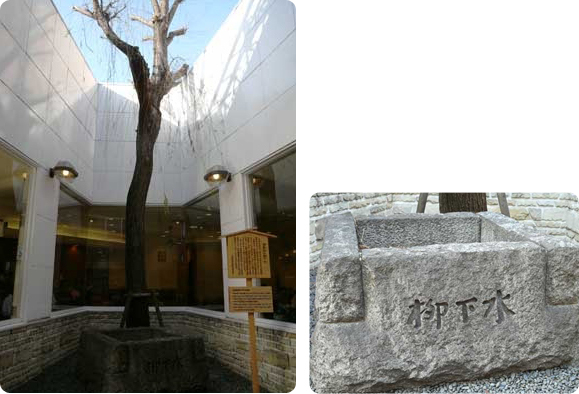 Ryukasui is the name of the water used as an offering before the central gate of the temple of Seijuin, which was abolished in 19872. Performances take place daily at 10:00 am, 12:00 noon, 2:00 pm, 4:00 pm, and 6:00 pm. The puppets re-create the famous incident in which warlord Oda Nobunaga hurled incense during the funeral of his father, Nobuhide, at Banshoji. Performances do not occur in inclement weather. Performances take place daily at 11:00 am, 1:00 pm, 3:00 pm, 5:00 pm, and 6:30 pm. 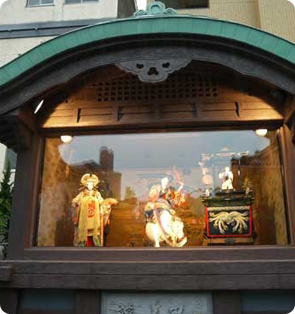 This mechanical puppet performance depicts Tokugawa Muneharu, the seventh lord of Owari, who was fond of festivals. Performances take place daily at 12:00 noon, 3:00 pm, 6:00 pm, and 8:00 pm. 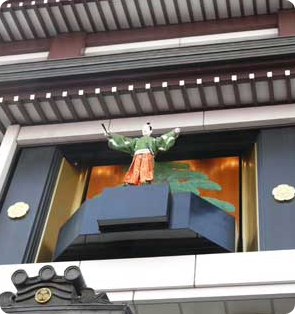 This performance features three great warriors who have ties to Nagoya: first Oda Nobunaga, followed by Toyotomi Hideyoshi, then Tokugawa Ieyasu.